Will come in handy on vacation to carry money and drivers license and not having to lug around a purse while sightseeing. For the children going on trips and the elderly every day use. HOW I LIKE NECK WALLET I LOVE IT! I enjoying wearing the neck wallet and it very comfort to wear round my neck. It's a good item to have . 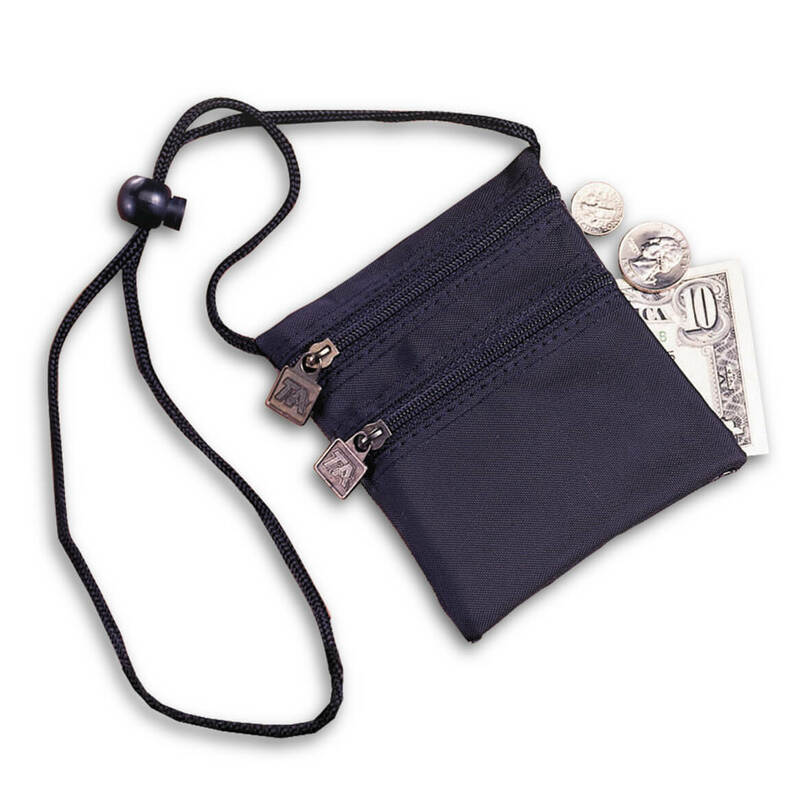 Holds my money and credit cards under my clothes to keep safe when traveling. 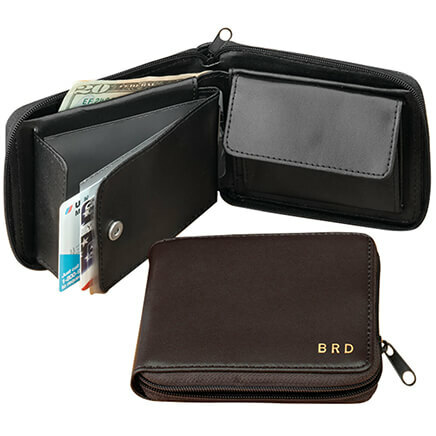 This wallet is compact but holds credit cards , travel documents and money hidden . I used in Eastern Europe during a six week visit. It is what I need. We buy a few of these every year. We buy these for our daughter and grandson to use as holders for their diabetic pumps. They are perfect - just the right size. We have been buying them from you for years. Thank you for keeping them in stock. I use this little bag when I am just running to the store or on another errand. 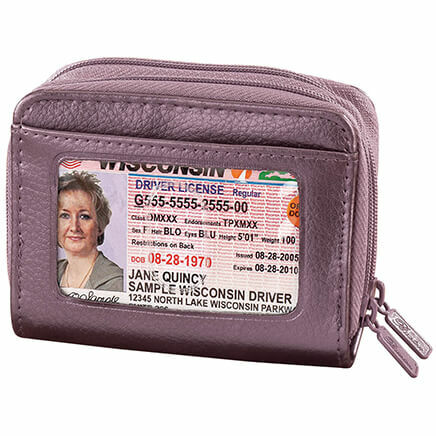 Photo ID goes in the clear pocket and money/credit card in the other pockets. My son and I--both diabetics--have been using these for insulin pump holders for several years. They hold up very well, even for an extremely active boy, in use 24/7. The cord bobble thing makes them adjustable to the proper length. I toss them into a zippered washer pouch and throw straight into a regular load, and the dryer. There is an interior vinyl-type lining (maybe to make it water-proof?) which breaks apart after several washes, but the pouch is much more comfortable to wear after it is broken down and removed, so I usually rip it out right away. The front pocket is good for ID and a little emrgency cash. I use this when I go shopping, whether it's to the grocery store, the flea market or whatever. It is easy to use and I don't have to worry about leaving it lay somewhere, which I've had a problem with in the past, with my wallet. Also, it works great when I travel, going thru the airport. I'm always afraid of losing my drivers license, passport, boarding pass etc. This keeps it all together. I was so happy to find something light weight and many pockets. This is a good wallet for travel. Easy to use and good for keeping cash or cards out of sight. Wear under clothing - easy to pull out when needed. No one can see it. Quick trips when I don't want to carry a big pocketbook. I like it because it saves me from toting a big purse. phone when I'm walking in the mall. Wanted something lite and it serves it's purpose. The bottom zipper was sewn shut so only the top zipper was available for use. Not worth the shipping to send back.Very disappointed this defect was not caught during the inspection of this product. I did not like the poor quality. I feel sure it is not going to last long. i HAVE TALKED TO CUSTOMER SERVICE AND VERY DISAPPOINTED IN COMPANY AND CHARGES! I chose this for my mom to wear when she travels. 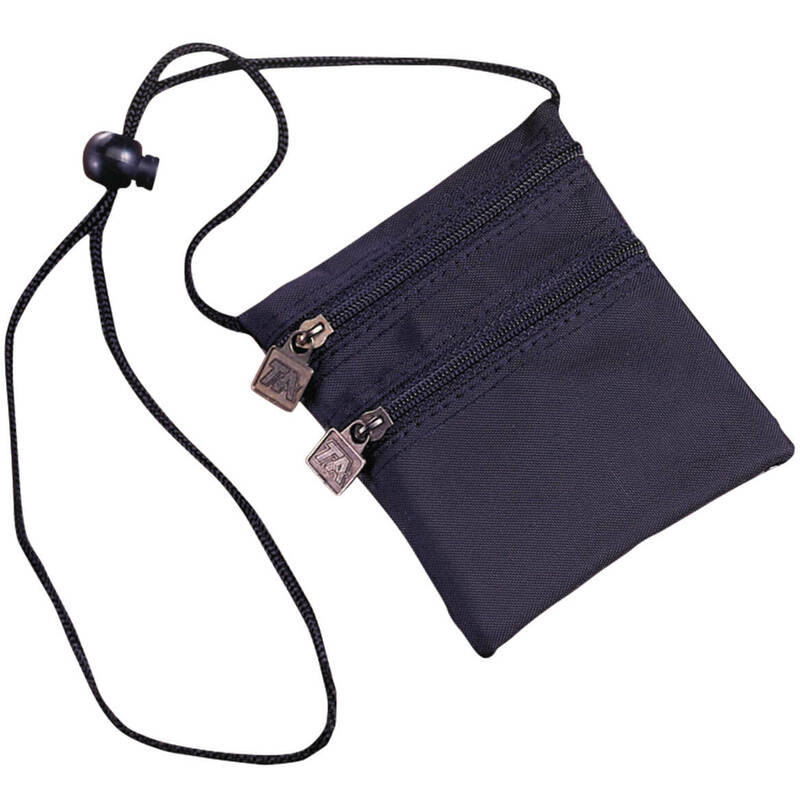 Rather than dig through a purse or pocket, she can keep her identification and any other important papers around her neck for easy access. To use for travel and running short trips that do not need a lot of money. I bought for flea markets, yard sales, and travel for less to carry than a bag. Plan to use this for my ID cards and passport when traveling. this is perfect for my two grandsons. they are always losing their regular wallets. It was the size that I've been looking for. I have lots of pants with no pockets, I hope this will be a good place for my cell phone. I use this on my just it comes in handy, the one I had I lost in the storm a few months ago. Portability. Use for quick trips instead of purse. 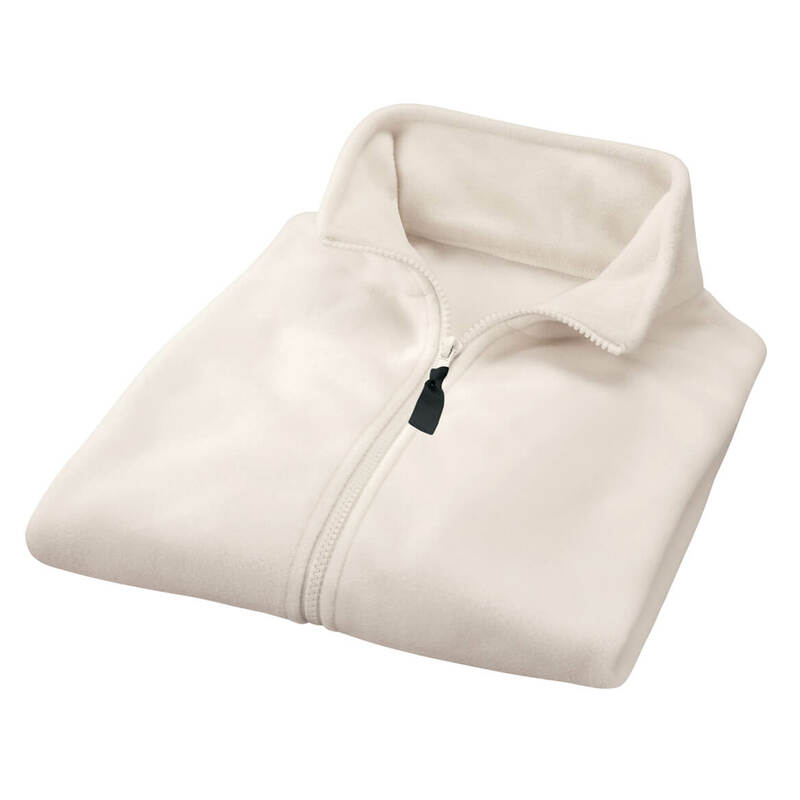 Security since use around neck and can be hidden under shirt. 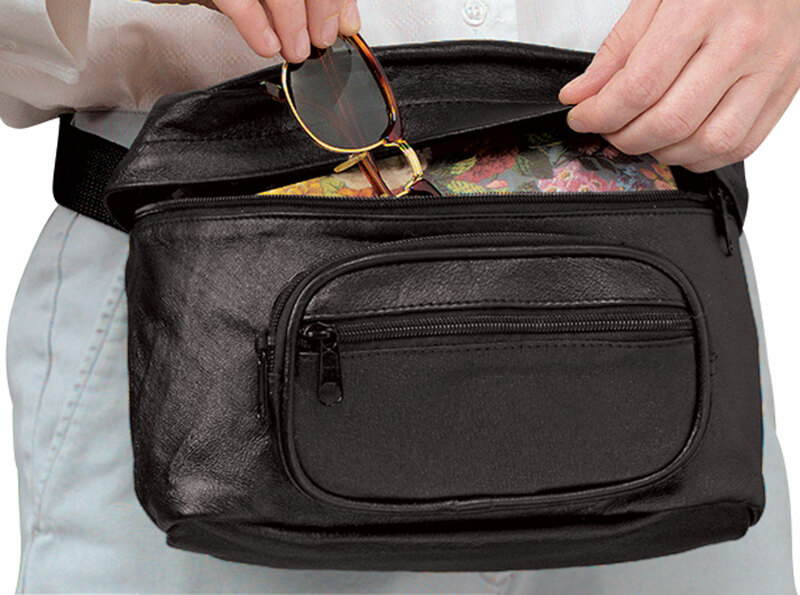 It's great for flying and keeping your id, flight papers, and a credit card close at hand. I use this as a quick grab wallet instead of my full purse. The small size - wear these type of satchels when skiing. Need for my work id. I wanted this item for when I walk I can carry my ID card. We are going on tour overseas and want to foil pick-pockets. Just returned from a trip - would have helped with TSA and airline requirements! Going on a cruise and looking for something with easy access to hold my ID and passport . It worked perfectly! Is this large enough to hold a passport? BEST ANSWER: yes. I purchased it for a school group that was traveling abroad with me and they found them very useful. Unless passports have increased in size during the years since I had one, the answer is yes. Sadly, I have never had the need for a passport, so I'm really not sure, but I doubt it. I think you are correct. The wallet is large enough, but the zipper is not large enough to get the passport inside. Yes, it should fit! A passport is approx. 4" x 5" and this item is 4.5" x 5.5". Yes, but the zipper may not be wide enough to get the passport inside. The outside measurements are larger than the inside. It holds a passport perfectly. Classic plastic rain bonnet comes to the rescue on rainy days—keeping hairdo intact for a beautiful you! 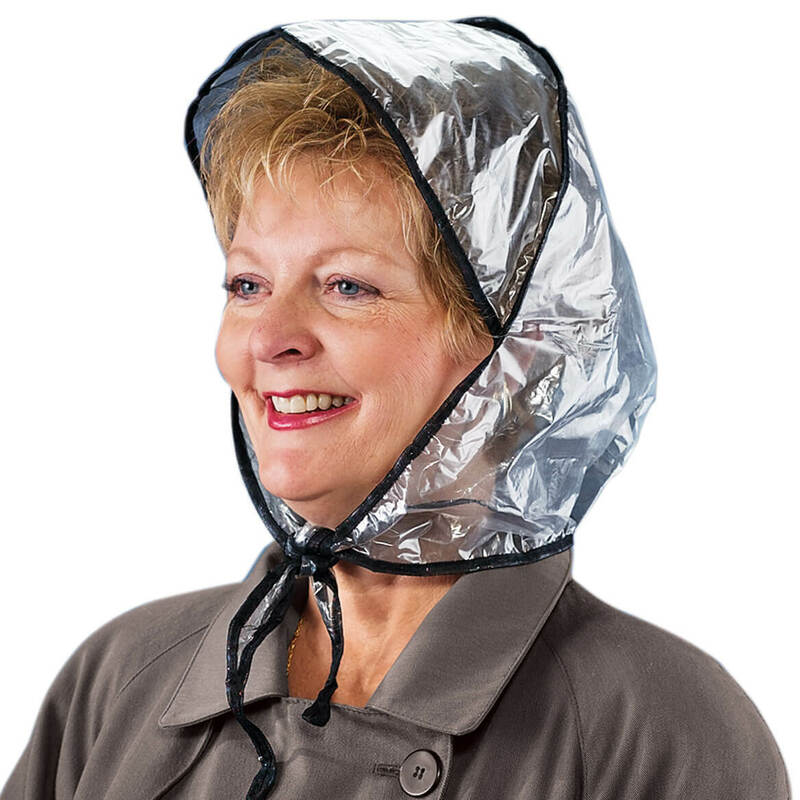 Lined with cling-free nylon netting, black plastic rain bonnet features front ties. Folds to fit in purse, pocket, or glove box.